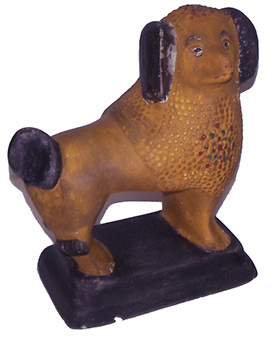 This Chalkware Dog, circa 1840 is of the early slip cast type with a scarcely encountered painted body. It is in generally excellent original condition with only as expected small losses to the paint and a tiny chip on base. Height: 7.5 inches; width: 6 inches; depth: 3.25 inches.